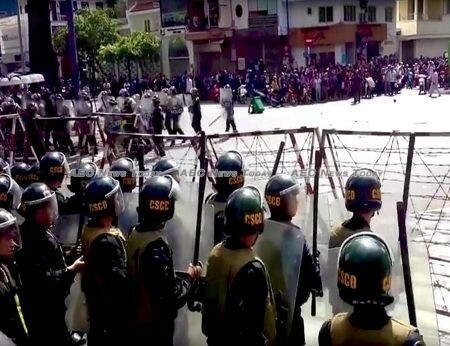 Since mid-June 2018, numerous anti-China protests have been reported in Vietnam. Demonstrations of this kind have not been seen since the widespread anti-China protests in the country in 2008 and 2014. Protesters rallied to express opposition to the draft law on special economic zones (SEZs) that was to be brought before the National Assembly for consideration. Banners held by protestors read things like ‘No leasing land to China even for one day’. 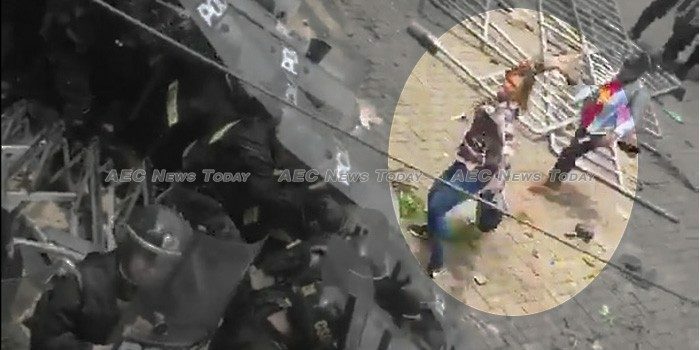 Most of the rallies were non-violent, but in Binh Thuan province protestors threw Molotov cocktails and rocks at police. Hanoi asserts that hostile forces incited the demonstrations to destabilise the country. The draft bill proposes a legal groundwork for establishing three long-planned SEZs. The policy on establishing SEZs has been stipulated in the country’s constitution since 1992. Government leaders in Hanoi describe the bill as a boost for development and as providing Vietnam with ‘room for institutional experiments’. The three SEZs will be granted favourable legal and policy conditions to attract foreign investments. Foreign investors can lease land for up to 99 years. But the 99-year lease regulation worries many in Vietnam, mostly for national security concerns about the possibility that China’s investment will dominate. Under public pressure, government officials decided to delay a vote on the draft bill until the next assembly session in October. The SEZs should not be rejected out of hand. Many SEZ models in China, South Korea, the United Arab Emirates, and Singapore have been successful. They are not new to Vietnam, but the Cai Bau and Con Dao SEZs in the early 1990s failed, as did the first attempt in Phu Quoc in the mid-1990s and Hai Phong soon after. Opponents to the draft law argue that the three proposed SEZs would be in areas of strategic importance. Van Don in Quang Ninh province is adjacent to China’s Guangxi province. Bac Van Phong is not far from Cam Ranh Bay, a well-known strategic military port. And Phu Quoc island is only 20 kilometres (about 12.5 miles) from the deep-water port that Cambodia leased to China for 99 years in 2016. Vietnamese concern about Chinese investment sits on firm foundations. Popular anti-China sentiment and distrust of China in Vietnam is based on a collective historical memory of China’s repeated attempts to subjugate Vietnam in the past. Every Chinese dynasty since Qin Shi Hoang has attempted to invade Vietnam. 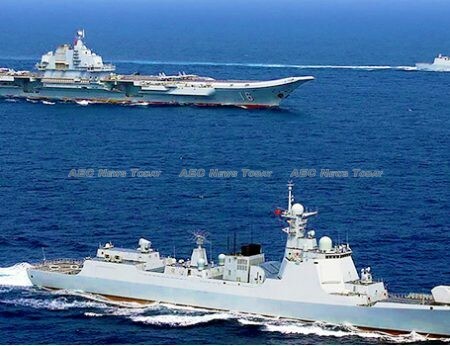 Memories of Chinese aggression — including in the northern border war in 1979 and the Spratly naval clash (Gac Ma battle) in 1988 — remain fresh in the public’s mind. Informed by this historical memory, anti-China protesters in Vietnam today are concerned that something akin to Russia’s seizure of Crimea could happen between Vietnam and China. According to a 2014 Pew Research survey, only 16 per cent of Vietnamese people hold a favourable view of China. The nature of Chinese overseas investment is also viewed with caution in Vietnam. There are worries about the so-called ‘Chinese debt trap’, whether China cares about the risk of environmental degradation and the tendency for low-skilled Chinese workers to be brought over to work on projects instead of domestic workers. China’s foreign policy actions over the last 10 years contrast sharply with its charm offensive of the late 1990s and early 2000s. Most noteworthy was China’s show of goodwill in assisting Asean during the Asian financial crisis. But since late 2009, especially under the presidency of Xi Jinping, China’s behaviour has aroused concern. In the maritime domain, China has been and continues to be defiant to international law and increasingly assertive in the South China Sea — not to mention China’s refusal to accept the ruling on the South China Sea awarded by the Arbitral Tribunal two years ago even though it is a party to the United Nations Convention on the Law of the Sea (Unclos) 1982. In addition, China has built seven artificial islands on different features in the Spratly and the Paracel archipelagos over the last several years. More recently, China installed anti-ship cruise and surface-to-air missile systems on three artificial islands in the Spratlys, and landed H-6K nuclear bombers on Woody Island in the Paracels. Admiral Philip Davidson, commander of the newly renamed Indo-Pacific Command, told the US Senate Armed Services Committee that ‘China is now capable of controlling the South China Sea in all scenarios short of war with the United States’. Problems with China’s overseas investments have spurred anti-China sentiment elsewhere in the region, as shown in several protests in Thailand, the Philippines, and Myanmar in the last few years. The low quality of made-in-China infrastructure projects, concern about China’s extensive use of Chinese labourers in its overseas projects, and increasing anxiety over a ‘Chinese debt trap’ continue to be obstacles to Beijing’s Belt and Road Initiative (BRI). China’s militarisation in the South China Sea has also undermined strategic trust in the region and raised concerns about participation in China’s ambitious BRI plan. Anti-China protests in Vietnam should not be perceived solely as a domestic issue, but part of a wider regional political and security dynamic. Hanoi must draw its own lesson from the recent anti-China protests about the importance of clear communication with its public regarding new laws. Its challenge moving forward is to strike a nuanced balance between economic growth and national security considerations. Given the mixed success of its previous SEZ models, Hanoi should proceed with caution. For its part, China should not arrogantly label the protests in Vietnam as ‘illegal gatherings’ but instead consider them as a wake-up call to the unfriendly, if not wrong-headed, Chinese approach to public diplomacy. Currently, it seems that Southeast Asian perceptions of Chinese activities undermine its claim to a peaceful rise. This article was written by Tuan Anh Luc, a PhD Candidate in the School of Humanities and Social Sciences at the University of New South Wales, Canberra. It first appeared on East Asia Forum under a Creative Commons License and is reproduced here with its permission.